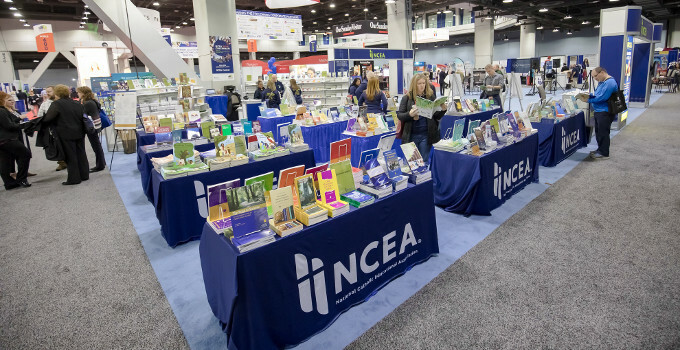 The National Catholic Educational Association Convention and Expo (NCEA 2019), held in fellowship with the Archdiocese of Chicago, is taking place April 23 -25 at McCormick Place-West in Chicago. The NCEA Convention & Expo is the largest, private-education association gathering in the country. 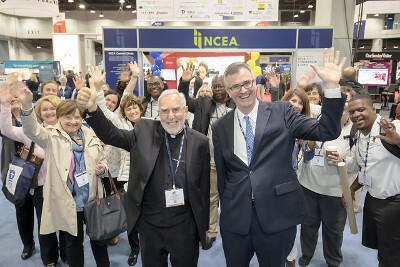 NCEA 2019 is a one-of-a-kind event that brings together Catholic and other religious educators from across the United States, Canada and other countries to exchange ideas and debut cutting-edge research and technologies related to education. Those participating represent all aspects of Catholic and faith-based education from preschool, elementary, secondary, adult education, colleges and universities to local parish pastors, priests, parish volunteers and more. The event features more than 250 professional development sessions, carefully prepared liturgies, networking events and an expo hall showcasing the latest educational products and services. Visit AmpliVox's booth #1947 at the expo to learn how Portable PA Systems help educators be heard. School traffic management is challenging, but also critically important for safety and convenience. In order to keep students, families and staff safe, schools implement arrival and dismissal procedures to facilitate the process and keep traffic moving. There's a right way to navigate the school car line, and a wrong way... actually, so many wrong ways. Taking the kids to school in the morning and collecting them again in the afternoon are quite possibly two of the most agonizing events in a parent’s day, but it doesn't have to be this way. 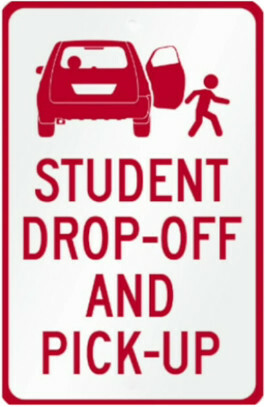 The drop-off and pickup process must be efficient for students and parents arriving by bus or private motor vehicle, as well as those who arrive on foot and bicycle. Some parents are reluctant to allow their children to walk or bicycle to school due to the traffic congestion and perceived traffic dangers. This often results in more parents driving their children to school which adds to the extra congestion and safety problems at the school, creating an increasing cycle of more traffic problems. You don’t want to risk that any parent or child misses out on critical traffic instructions, so you need to be heard loud and clear. That’s why you should consider an AmpliVox Megaphone to help you with this critical task. Introducing a portable PA system to give directions, make announcements, and deliver messages improves the drop-off and pickup process. 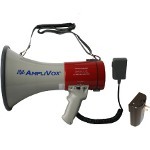 The AmpliVox SB602MR Megaphone has a convenient detachable mic and rechargeable battery. Comfortable pistol grip and 3 modes: Talk, Siren and Whistle with an effective range up to one mile (1760 yards). If you need more power and range, use the AmpliVox Half-Mile Hailer. A powerful loudspeaker PA that can be clearly heard up to half a mile away, all from a compact and portable all-weather unit. An easy to use 50 Watt amp really powers out the sound, just turn it on, adjust the volume and start talking. The S606 Safety Wand Megaphone is a traffic control baton that combines the features of a LED safety wand with a loudspeaker megaphone, increasing your visibility and amplifying your voice within the same unit. The light has a visibility of up to 3000 yards, to ensure that warnings and signals won’t be missed. Its built-in rechargeable battery provides up to 100 hours of use. To see the full line up of AmpliVox megaphones go to our website, you can even get a cloth cover for the megaphone horn that can have your school logo on it. Make sure your children are safe by hearing you loud and clear with an AmpliVox megaphone. Gopher Sport has presented AmpliVox with a 2018 Gopher Sports Supplier of the Year Award. It is our pleasure to congratulate you with earning one of Gopher Sports 2018 Supplier of the Year awards! We have recognized your hard work and commitment for meeting/exceeding our supplier metrics and want to present you with this award for such a great achievement. Your quick communication and on time shipping & delivery is excellent and we want to recognize you and your team for your superior service. Thank you again for all of your help and support. I want to express my sincerest appreciation for everything you do for Gopher Sport. Congratulations on receiving this award and we look for your continued support and success in 2019!!! AmpliVox was awarded for their outstanding performance and recognized for their hard work and commitment. We look forward to the continued support in 2019. AmpliVox Sound Systems now has 360 Spin Images for many of its leading products, enabling customers to interact with products online, almost as if they were actually holding the products to closely examine them. The new images let you spin the product around to see all different sides, and to zoom in on important features, such as product controls. This is especially helpful when evaluating the features of more technical products. The 360 spin images actually consist of many separate photo images that are put together using a special viewer, which makes it appear that the product is being spun around to different angles. 360 spin images are being utilized by many leading merchants including Amazon. According to Forbes magazine, merchants utilizing the technology have experienced both an increase in sales, and a reduction in customer returns, because consumers can more accurately evaluate what they are buying. "We always try to make it easy for consumers to evaluate our products," said Don Roth, AmpliVox CEO. 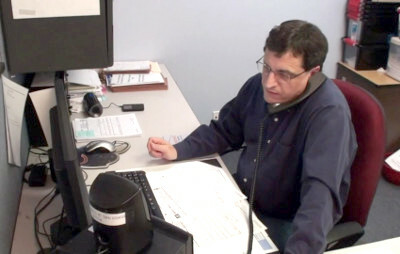 "It’s part of our passion for customer service. 360 spin images are an emerging technology that we will be employing to ever greater benefit in the future." In addition to having the 360 spin images on its website, AmpliVox is now making the images available for resellers to utilize as a selling tool, either by embedding the AmpliVox viewer in their website, or by downloading the images and installing their own viewer. For a full list of AmpliVox 360 Spins, download our 360 Spin List spreadsheet. 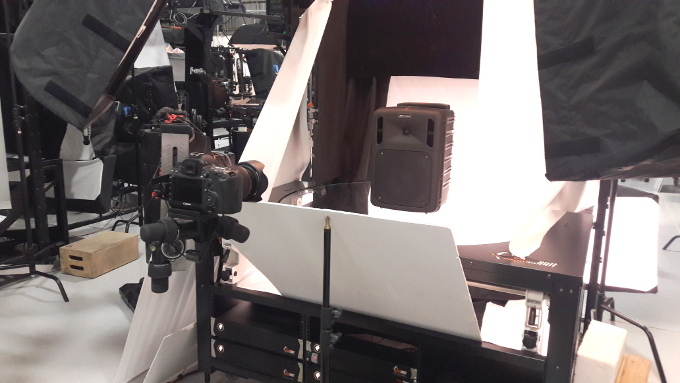 AmpliVox Sound Systems chose Snap36 to create 360 product imagery of their popular portable PA systems at their 42,000 square foot Chicago studio. Snap36 specializes in high volume, cost efficient 3D and 360 degree product photography, providing spin photography services and solutions for manufacturers and ecommerce sites. They efficiently automate image capturing using innovative robotic equipment and workflow software, producing all the images, suggested viewers and recommended image hosting that brings it all together. 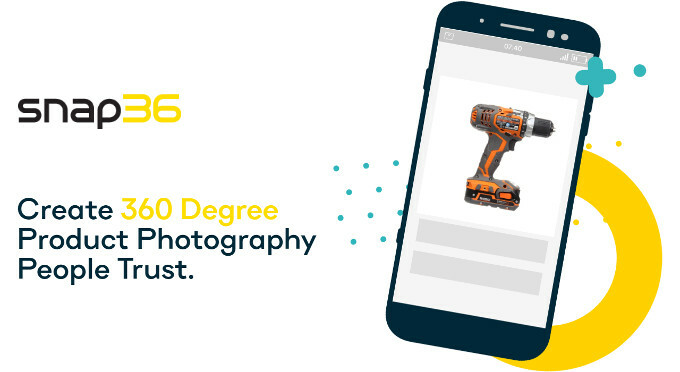 Whether you are looking to increase conversion rates, improve customer engagement, or quickly scale your product content, Snap36 is the optimal solution for 360-degree product photography. 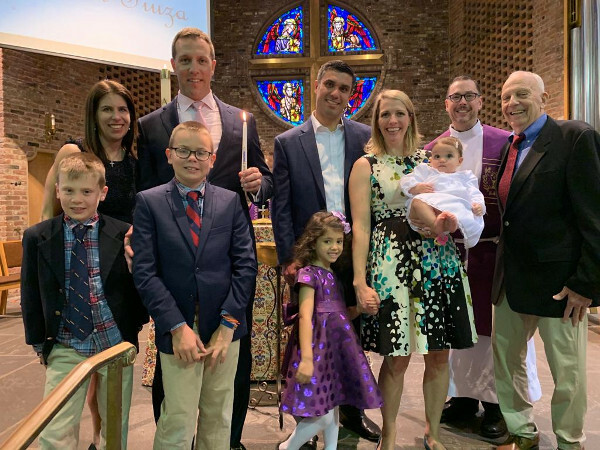 AmpliVox CEO Don Roth celebrated the baptism of his granddaughter, Isabelle Roth Fiuza. 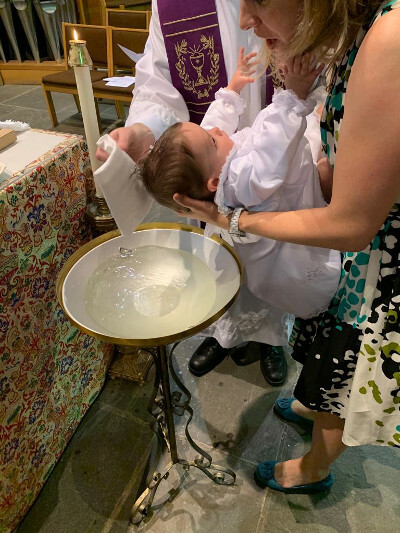 The baptism was performed at the Village Lutheran Church in Bronxville, New York. Those present were Isabelle 's parents, Carolyn and Pedro Fiuza with godparents Eric and Jess Roth. Wishing little Isabelle a blessing from above. May this special occasion be filled with peace, love and wonderful memories. When emergencies arise in schools and other crowded areas, the first priority of administrators is to quickly move students and staff to places of safety. Whether the emergency is related to accidents, natural causes, or violence, panic and confusion greatly increases the risk of casualties. 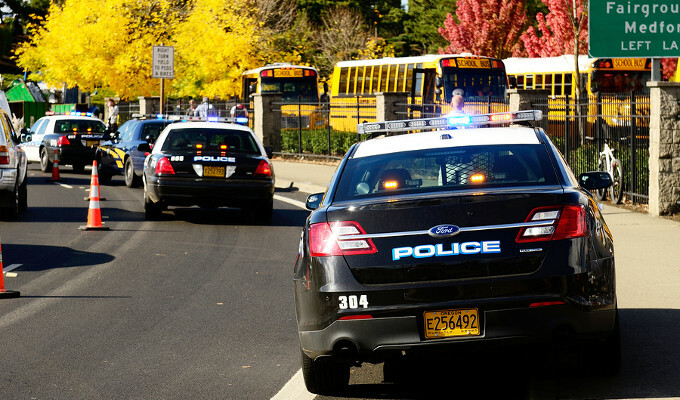 When public safety is on the line, it is vital that school leadership, security staff, and other first responders have the ability to clearly communicate with large groups of people on a moment’s notice. All too often, emergency situations create obstacles to communication – power may be cut off, access routes may be blocked, isolated response teams may be operating with inaccurate information, or teams may have difficulty getting instructions to large groups of frightened people. In establishing disaster preparedness plans, school emergency personnel should have equipment ready to go, ensuring that communication remains available despite the obstacles. Portable sound systems are an essential tool for responders to have on hand for these unpredictable emergency situations. Today’s systems come in a wide variety of models to serve different functions, but one central purpose is common to all: providing reliable, grab-and-go communication to calm, direct, and inform large groups of people in times of crisis. 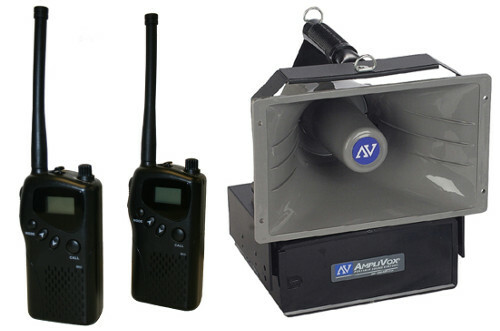 The Radio Hailer from AmpliVox uses two-way MURS radios and powerful Hailer loudspeakers for large-scale coverage from a remote, centralized command center. Emergency leadership may need to direct response teams and civilians from remote locations. Powerful portable sound systems can provide closed communication networks to cover large areas, indoors or out, using MURS two-way radios and radio-connected hailer speakers. Multiple speakers can be set up in seconds in locations up to a mile apart, allowing for the broadest communication coverage from a single command center. AmpliVox Sound Systems developed its Radio Hailer system for private security applications for the investment firm Goldman Sachs, allowing management to coordinate safety communication from multiple locations around its New York City and Jersey City offices. The same affordable, easy-to-use technology can be put to use on school campuses for swift, effective responses. SB602MR Mity Meg Rechargeable Megaphone for clear, powerful voice projection from an easy-to-use unit weighing just 2.5 lbs. Megaphones pack a great deal of versatility and power into compact, portable units. These easy-to-use sound systems are ready for action when needed, even under harsh conditions. Today’s best megaphones use rechargeable lithium-ion batteries to reduce weight and provide long-lasting charges, whether in use or on the shelf. They can deliver voice coverage up to a mile, and also grab attention with on-board horn or siren functions. For added safety and visibility, consider a megaphone that includes an integrated strobe signal light signal. 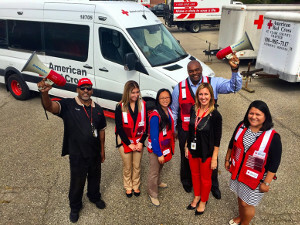 AmpliVox provides its Mity Meg Rechargeable Megaphones to the American Red Cross to help disaster response teams coordinate emergency services. Combine visual cues with audio support for maximum impact. audio support for maximum impact. In a chaotic evacuation, people will be looking for visible direction from authorities. Visibility can be greatly enhanced, even in dark or smoky situations, with simple tools like lighted traffic batons. Innovative new products now combine that visual support with audio loudspeakers to guide people to safety. Useful in any traffic control or crowd management situation, these versatile products are especially helpful in emergencies. 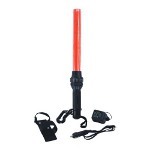 Perfect for law enforcement, fire fighters, emergency medical technicians and individuals concerned with traffic marshalling, the illuminated LED baton is lightweight, durable, and water resistant. When covering large areas, roof-mounted sound systems on emergency vehicles provide the most mobile and effective means of communication. Durable, powerful hailer loudspeakers can be heard for up to half a mile. They can be attached in minutes and powered directly from the vehicle. These examples demonstrate the versatility and effectiveness that portable sound systems offer for school emergency response teams. Easy to use and ready to go, these tools improve communication in any crowd control situation – which means improved safety for civilians as well as responders. Now more than ever, investing in reliable sound equipment must be a central part of any crisis management plan. Why Do So Many Customers Stick with AmpliVox? Why do so many AmpliVox customers refuse to consider any other supplier for the many products that AmpliVox manufacturers? Consider this recent unsolicited testimonial from one of our customers. "Since starting as a real estate auctioneer in 1997, no one has ever been as helpful and caring to my business as AmpliVox. You get it when others do not. I have many PA systems but will never do business again with anyone but you. You set the standards in your industry that all should follow." AmpliVox does design and build great products, but we also take care of our customers before, during and long after the sale. Your satisfaction is our satisfaction. "Great customer service! We were missing a part and they sent what we needed right away!" "I received the antenna the next day and had it in the time for my Saturday morning auction." "Best customer service I have ever received!" "Your rep was extremely accurate and responsive while handling our account - possibly one of the best people I have ever worked with!" That is why we continue to hear so many unsolicited testimonials from our customers year after year after year for nearly 70 years. "I must say I am extremely impressed by your customer service. It's unheard of. Excellent work!" "I've passed your name on to other departments; it's good to share great products and service with others." "Your people are the BEST"
Extend your voice and project your image with AmpliVox. We welcome all of your comments and suggestions, and of course we appreciate your business. We strive to serve you in any way we can, so let us know how we can help. 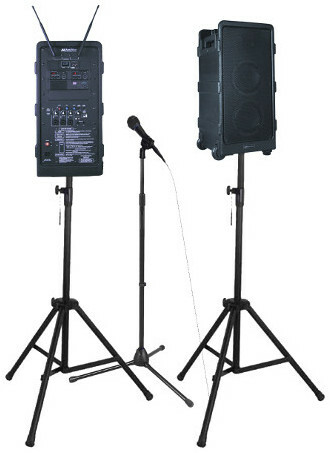 AmpliVox offers 360° spin sets of popular portable PA systems for Dealers to use on their website. To embed a spin you need to copy two lines of code into your web page. The first line of code is the script that will run the viewer and the second line of code is the spin of the SKU to be placed on your site. AmpliVox has 360 spin images hosted at Sirv, an image processing platform that offers a full suite of rich image viewers. For more information on Sirv Spin options and viewer settings, please visit Sirv Spin documentation. Our 360 subfolder in the Media Library gives you access to all the still shot images of the 360 spin that you can use individually or to create your own 360 spins. 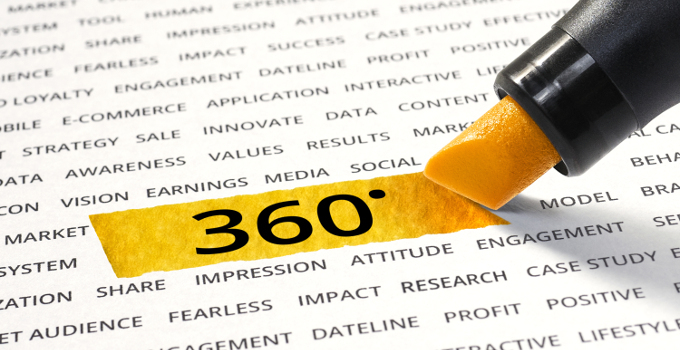 You will need to implement a 360/3D viewer on your website which will allow you to display the spin images on your site if you choose to host the images yourself. There are two types of 360/3D viewers, "3rd Party Hosted" and "In-House Hosted". A "3rd Party Hosted" viewer is when you are uploading the spin images to a 3rd party image platform, such as Sirv, to allow the spins to be embedded to your site. The other option is a "In-House Hosted" viewer where you actually integrate the viewer code into your website and you will house the images and serve them to the viewer. This option allows a little more control over the viewer but can take more development on your side to integrate. We recommend Magic360 Spin Viewer as this is a very reliable and cost effective slideshow and 360 viewer. College basketball's "March Madness" has been one of America's favorite times of year for generations, creating a friendly competition between basketball fanatics and non-sports' fans alike. Whether you find yourself entering bracket contests, predicting exhibition outcomes, or just rooting for your favorite college basketball team, this segment of each year is one of the most anticipated. AmpliVox, a premier supplier of quality PA system, celebrates this great time of year. 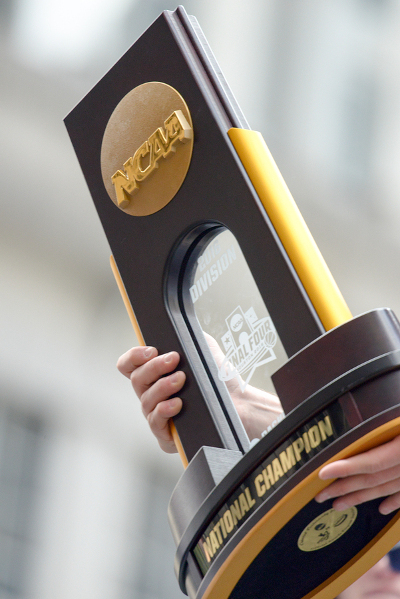 Every year "March Madness" takes the country by storm with a 5-week frenzy of upsets, blowouts, Cinderella stories, and concludes with crowning conference champions, as well as a national champion. The pandemonium all begins the second week of March with conference tournaments across the nation. On the traditional "Championship Sunday", each of the thirty-two conferences crown a champion for the year. Through winning their conference championships, these thirty-two champions gain an automatic bid to the NCAA Tournament, a chance at the National Championship game. The losing teams of the conference tournaments must rely on the NCAA selection committee to award their bid to the NCAA tournament, which takes place on the infamous "Selection Sunday". On "Selection Sunday" the NCAA committee releases the official men's bracket and team's seeding of the NCAA tournament to the public. Thus, the chaos of "March Madness" is intensified for the remaining four week period. Dedicated sports fans across the country commit themselves to predicting the outcomes of the NCAA tournament games, also known as "Bracketology". This process of predicting winners from each side of the bracket to ultimately meet in the National Championship unites the country. Everyone is entitled to their choice regarding which under-dog will make a name for themselves as the cinderella team, and who will be this year's college basketball National Champion. AmpliVox knows a thing or two about offering solutions for chaotic sport environments. Like the NCAA Tournament, competitive basketball tournaments are taking place across the country as regular seasons come to a close, and the postseason begins. These environments require full control and organization to successfully accommodate all teams and fans in attendance. PA systems allow you to make announcements on upcoming games or tournament schedules changes, making sure everyone is on the same page. While hosting your next tournament, extend your voice clearly over screeching whistles, buzzing scoreboards, and screaming fans. Get your message across regardless the surrounding with our Digital Audio Travel Partner PA System. The Travel Partner's lightweight design can reach up to 7500 people in room sizes of up to 25,000 square feet in optimal conditions. Equipped with a 250-watt amplifier the Travel Partner can fill any room with full rich & clear sound. It's amplification ability is excellent for gymnasiums. From the National Anthem to the Awards ceremony, the Digital Audio Travel Partner PA system provides the ideal sound for sports tournaments. AmpliVox also offers solutions that create a stronger image for your school. A customized AmpliVox lectern with your school logo will set your program apart at your next hosted sports event. This is the ideal time of year to generate excitement by incorporating a collegiate lectern for a truly unique and memorable presence. The next time your program is on the big stage, make sure to captivate your crowd's attention with an AmpliVox Collegiate Multimedia Lectern. AmpliVox leads the industry with presentation solutions that assist with minimizing chaos and creating an organized environment. 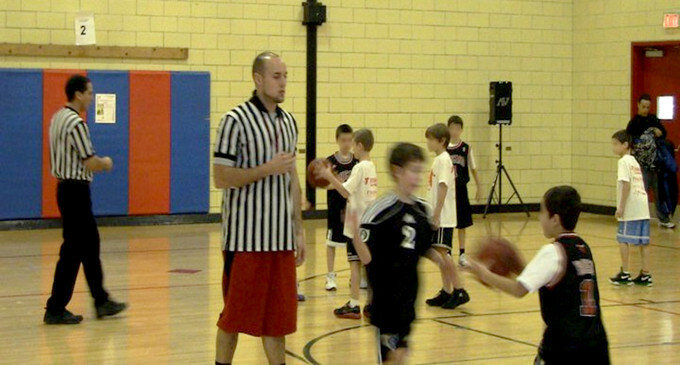 During your next sports event, command attention and communicate information with clarity so that all can be heard. Extend your voice and project your image with AmpliVox. Create a professional presence and command your bidders attention, handling small and large crowds with portable sound systems that are great for auctioneers. AmpliVox products help auctioneers look good and sound good, that's why customers love them. 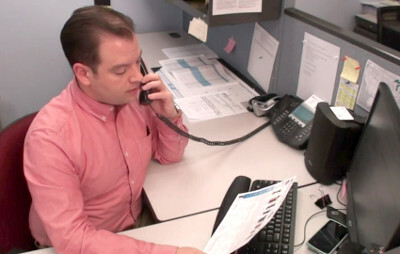 Quality is reflected in every phone call where AmpliVox reps help auctioneers choose the right product for their environment. 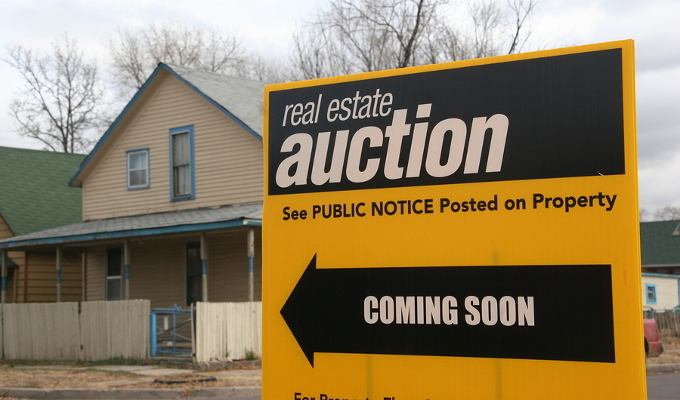 "Been in my business since 1997", says Keith Strain, real estate auctioneer. 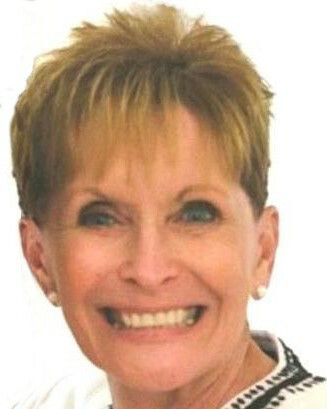 "Since 1997 no one has ever been as helpful and caring in my business needs as you have been. Can not tell you I appreciate enough. You get it when others do not." I have many PA systems but will never do business again with anyone other than you. The way you handled all what we have been through has been nothing more than super impressive and amazing to me. "You love what you do as I love what I do too. You set the standards in your industry all should follow. Maybe I meet you one day and shake your hand." 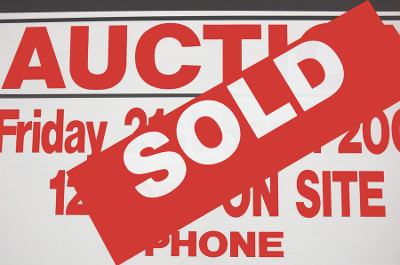 It is important for auctioneers to make sure that all in attendance can hear clearly and effortlessly, loud and clear is key to a successful auction. Auctioneer PA systems provide great voice amplification and saves your voice from hoarseness or strain that can be caused by talking above the background noise and voices of the crowd for long periods of time. Wireless headset and lapel microphones leaves your hands free during bidding. 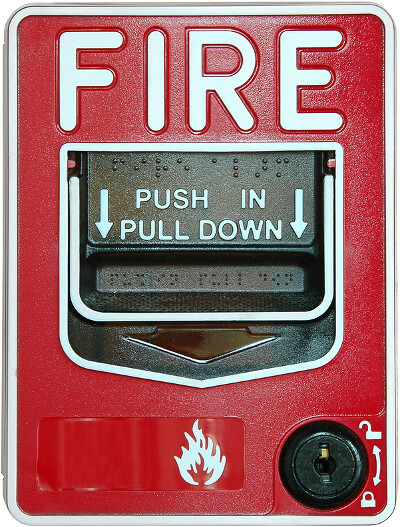 All PA systems are battery powered and portable for easy mobility. An easy-to-carry sound system in a briefcase-style design, powerful enough to reach audiences of up to 1,000 people in rooms up to 10,000 square feet. A proven "Road Warrior", specially tooled and molded plastic briefcase-style enclosure for exceptional durability and portability. Travels and sets up so easily. AmpliVox Hailers are available for specific applications, like the S/SW312 Sound Cruiser roof-mounted system for vehicles. A versatile go-anywhere PA with a 100 watt amplifier and wireless mic options. Equipped with a wired handheld mic with your choice of wireless microphone, and a luggage handle with wheels.